Le Petit Prince is an all-time classic French story written for children (but loved by adults too!) about a boy from a tiny planet, whose rocket has been forced down to Earth. 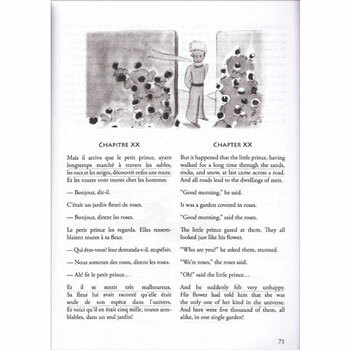 This bilingual reader edition features the full story in both French and English and also includes an audio CD featuring the full, unabridged audio books in both languages. Includes a specially developed English translation (the translation in this edition has been produced for use in a bilingual book. it is as literal as possible whilst remaining idiomatic and natural English. Ideas for various difficult passages has been taken from Katherine Wood's 1943 translation). 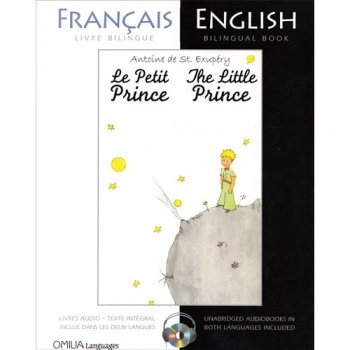 The Little Prince / Le Petit Prince: A French/English Bilingual Reader is a great tool for learners of either language. All accompanying notes are in both English and French.